Discount available! 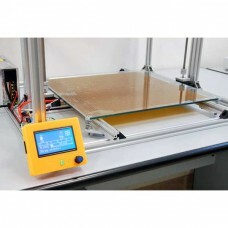 Recommend Heated Kapton pad 40x40 cm to your friends and get your Discount. 12V Kapton pad with a 3M adhesive sheet to use with your 3D printer. New FDM (Fused deposition modeling) 3D printer capable to produ.. If the high current of the hotbed brings multiple problems to your mainboard, this ..